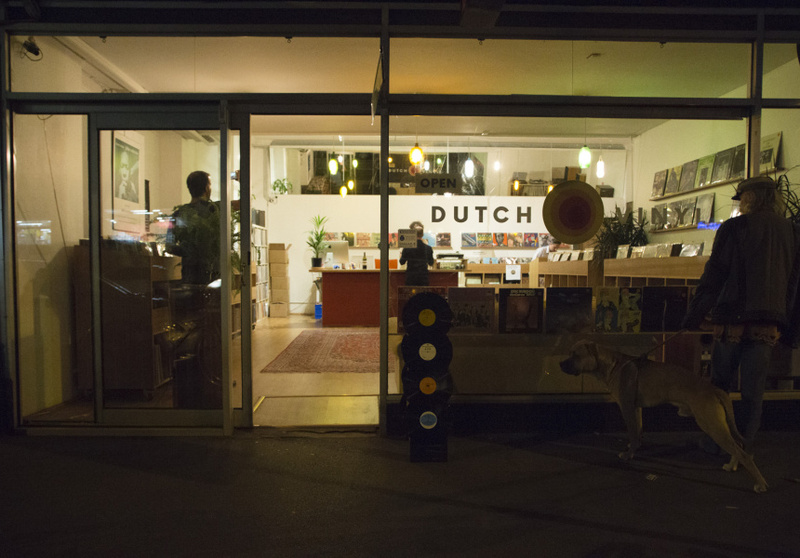 The care and attention to detail at Dutch Vinyl refines the already enjoyable record-shopping experience. 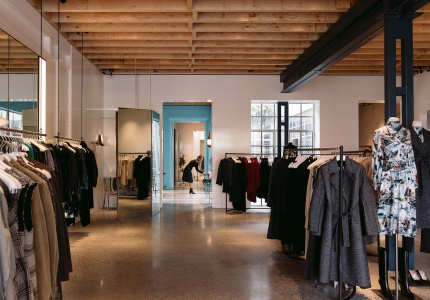 Inside an old convenience store, Tam Patton and Netherlands expat Mark Reuten have created an inviting and beautifully designed space with stock to match. Background music plays on an ultra-modern Rega RP3 turntable, vintage Sansui AU-9500 amplifier and pair of warm, locally made Orpheus speakers. The listening station is equipped with the classic Technics 1200-MKII and a pair of Sennheiser cans. Every record is cleaned using a Clear Audio Sonic machine, which uses sound to do its job, rather than friction. Patton and Reuten believe they were the first to bring one to Australia. 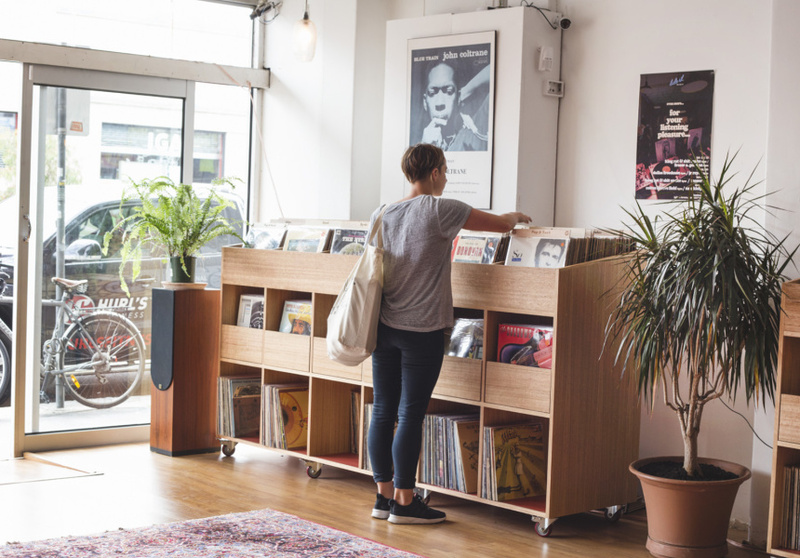 Each title sits in a top-of-the-line Blake sleeve (for which Dutch Vinyl is the exclusive Australian distributor), categorised by printed wooden labels. 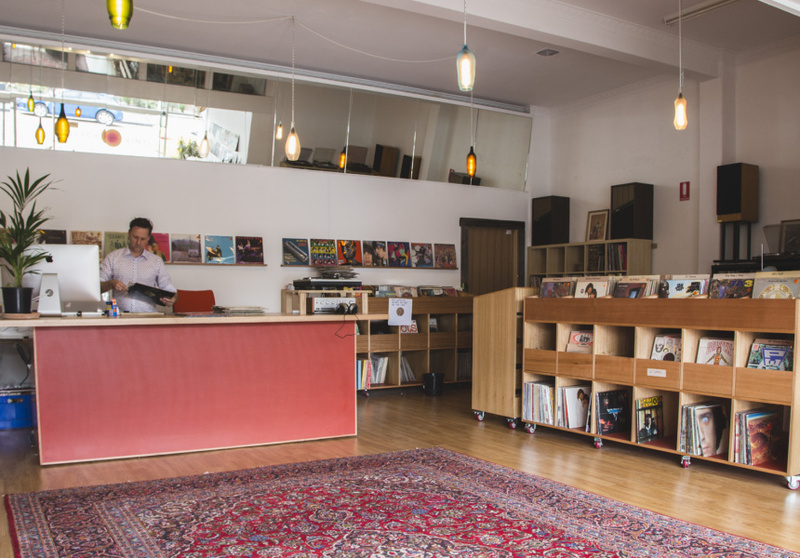 Records come from around the world, with an emphasis on Dutch pressings. There’s a multitude of genres, from surf rock and heavy metal, to soul and industrial techno. If you’ve got a record to sell, the guys will happily take it. The space is gently lit with pendant lights made from recycled bottles, by local glass artist Ruth Allen. The shop’s custom racks (with heavy-duty slide out drawers below) were designed by Patton and Reuten. Take a break from your dig to sit on the comfy in-store couch, and peruse the many musical books available.